The idea that Adam Kraut is some kind of Bloomberg plant or is financially motivated seems fantastical to me, so I’m inclined to not believe it if it’s not presented with evidence as equally convincing as the charge is nuts. I’m skeptical of anyone who wants to be on the Board that bad. Seriously: you’re one of 76 people if you win. You’re ability to influence things is pretty limited. This is doubly true if you got on the Board by essentially running against it. Let me turn that last point around to those attacking him: Adam Kraut would be one of 76 directors if he won. Why the flamethrowers? You do realize by attacking him like this, you raise the profile of his campaign? This backlash is making you all look petty and out of touch. You’re playing right into the hands of those who oppose many on the board right now. You can say a lot of things about Marion Hammer, but Marion Hammer is the reason we have concealed carry. I would not advise anyone who wants to get on the NRA Board to do so by antagonizing her. I’m not saying she’s beyond criticism. No one is. But she’s the one who got the ball rolling legislatively by getting the Florida Legislature to take a bite of the apple. Concealed carry was a social movement, so I do not wish to go so far as to say that Marion single handedly did it. We all did it. But getting Florida to jump first was a huge accomplishment that got the boxcar over the hump. I’ve always thought the best way to get on the NRA Board is to first, put in your time on the issue and the organization’s many activities. There’s a lot of ways to do that. Second, hang around Board meetings, get to know Board members, see if you might be able to get someone to help score you a committee assignment. Third, do a good job on that committee. Finally, try to get nominated. That to me is the path of least resistance. But I suppose it’s hard to change the good ol’ boys club by playing by its rules. But you know what else is hard? Trying to change the boys club by antagonizing it. I’ll be the first to admit I’d make a poor revolutionary, but I’ve found it’s better wait patiently, to recognize opportunity, and be ready to exploit it when the time comes, than to try to force it. It seems as if there is a fear coming from those on the board, that if Adam Kraut gets elected that will open the door for others of like minds to get elected using this strategy. I’ve spent a little time looking over Adam’s site. I have to say there are some aspects of his platform that I think should be in the NRA’s future, particularly education and public perception. For whatever reason, since I’ve been an NRA member and active with firearms training and shooting sports over the last 10 years, I’ve noticed less emphasis on efforts to reach the community through promoting these activities at the local level. Training has gone online, with less exposure to local instructors, and not much effort promoting NRA qualification programs in local clubs except through certain clubs that know how to play the “Friends of the NRA” grant game. I think Adam has some better ideas for changing the public perception of the NRA than the current scheme of Dana Loesch rant videos. If we want to ensure the future of gun rights, we need to get more people, particularly kids, out shooting and having fun doing it. I think Adam has some better ideas for changing the public perception of the NRA than the current scheme of Dana Loesch rant videos. Yeah, it’s pretty clear I’m not the audience for Dana Loesch rant videos either. I like some of Adam’s ideas. In other areas, I think he’s successfully identified a problem, but I’m not certain about his solution. There are too many do-nothing celebrity Board members: this I agree with. But I’m not sure an honorary Board is the right fix. If you have good ideas, that will to some degree carry you. It’s difficult to find success on any deliberative body by attacking it and its members, unless you represent enough votes to sufficiently alter that body to your liking. If you don’t, you’re attacking the people whose support you’ll need if you want to change anything. I’d make a poor revolutionary, too, even though I happen to be a so-called anarcho-capitalist, and thus would favor complete abolition of government. Hey, I may be crazy — few people would make the case that we need no government — but I’m also a realist: if I had a magic wand that instantly got rid of all government, but left the people as they are, it’s clear that the People, convinced that we need government, would merely organize and set up new governments. Hopefully, this would be done democratically, but there’s a *huge* chance that a lot of bloodshed would be involved as well. As much as I sometimes wish for Revolution, I know that very few revolutions, if any, actually end with greater freedom. More often than not, they end with a lot of bloodshed and a dictator in charge of government. Well, first off her paranoid rant in the editorial not only raises Adam Kraut’s profile, but also raises questions about herself that I wasn’t even aware of. Maybe there are good reasons she hasn’t attended a Board meeting in 3 years – but that alone may very likely change how I will vote this next ballot. If you don’t have the time, interest, or ability to attend and engage in BOD activities, then I think an Honorary Board is just the place for you. And if Kraut is an anti-gun plant he sure has fooled a lot of industry people as well. There are celebrities on the Board who are not engaged with the organization at all, and at least one of whom I’m pretty sure has never even shown up to be sworn in. Attendance by many of those is an issue. But Marion does have a good reason she’s been absent a lot (which I’m not going to talk about in public, because I don’t know her personally, and don’t remember if the information I know is current or whether it was told to me off the record). Also, she’s still quite engaged in the issue and with NRA. The problem Adam Kraut brings up is real, but how many people can consistently give up three weeks a year to attend the BoD meetings? I’m not saying everyone has a good excuse, but some do, and publishing something like that isn’t going to help make allies. The attendance issue is something you deal with before you get elected to a board. I certainly understand there are things out of the Director’s control that may prevent them from attending some Board meetings. And I certainly feel for Ms. Hammer if there are personal or health issues that are serious enough to prevent her from being at the meetings. But in general do we really want Board seats to be taken up by people who don’t have the time to actively serve? Or do we want people who are passionate and have the capability to actively serve on the Board. I think the BoD activities aren’t public enough, including attendance. I was surprised to even find out the fact that the Bylaws aren’t publicly available. Unless the BoD is mostly ceremonial, in which case why even bother? 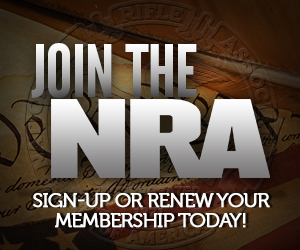 Any NRA member can attend Board meetings and committee meetings, save committee meetings that go into executive session. You can also get a copy of the bylaws by requesting one from the Secretary’s office. The BoD does technically have real power, but it’s a large body, so it’s hard for any one individual to dominate the body. And that’s by design. Having served on non-profit boards in the past, I will say having 76 members of a board of directors is a recipe for failure. It favors the hired staff and makes the board a rubber stamp. Even a board of 20 or so will still be dominated by the hired staff. As to Marion Hammer, if she has health or other reasons for her absences, it should have been incumbent on her to resign so that the spot could be filled by someone who could fulfill the duties of the office. Failure to do so is disrepectful to the NRA and to its members. Attendance at the meetings aren’t everything. She’s still quite engaged. There’s a point to be made in Board members who don’t show up and are not engaged, but Marion doesn’t deserve to be the poster child for that when there are so many others that do. Most Boards of Directors for non profit corporations are largely ceremonial. Its executive committee members who do the real work of the corporation. * I’ve been interacting with Adam on a fairly regular basis for several years, and his messaging has always been extremely consistent. The notion that he’s some kind of Bloomberg plant is somewhere between a paranoid delusion and an extremely uninspired attempt at character assassination. * Adam is a dedicated supporter of the right to keep and bear arms, he has a lot of thoughts on how the NRA could be more effective, and he has a LOT of friends in the industry. On the whole, I’ve gotten the distinct impression that his campaign to get on the board has largely been the result of those people hearing Adam’s thoughts and pushing him to at least try to put his ideas into action. Go take a look at his published platform and you’ll see what I mean about his ideas: http://www.adamkraut.com/education/ — The TLDR is that the NRA has done great things to a point, but that there are a lot of areas where it has substantial room for improvement. * Exactly. If the things he’s been reporting are accurate, it seems that his detractors within the NRA are falling victim to the Streisand Effect. In other words, if those reports are accurate, they just serve as a proof that Adam is correct about the NRA having significant room for improvement. * You’re right that the battle over the right to keep and bear arms is, at it’s core, a social issue. I think a good analogy for her is the 1986 FOPA: On one hand virtually all the gains we have made in the last 30 years are the direct result of FOPA. On the other hand, we must continually strive for more; we cannot accept the status quo under FOPA as anything other than a launching point for greater liberty. Similarly, Mrs. Hammer has made great contributions to our ability to exercise our right to keep and bear arms. That being said, some of the positions she has taken of late, especially with regard to certain firearm accessories, highlight that she is not necessarily onboard with the ways in which our gun culture has evolved over the last 30 years. Frankly, some of the things she has said in the last few months are as problematic as Bill Ruger’s support for magazine capacity limits. Much like Bill Ruger, Merrion Hammer has helped build something that will outlive her, and which others can build upon. In short, I can respect her achievements while also believing that it’s time for her to move on and be replaced by fresh blood. I think one of the telling things I’ve seen come out of his campaign to get on the board is the number of people buying life memberships specifically to vote for him. That may not be a significant number of people compared to the overall number of votes cast, but it’s still noteworthy. Until you’ve actually interacted with a politician directly on an issue, and seen first hand how much weaseling is done to avoid doing anything meaningful. They are masters at deceit, telling you what you want to hear and doing the minimum possible to get reelected. A great example are congressional letters of response that promise nothing yet mollify our constituency. Many of us consider our “people” to be the exact opposite of this, but they’re wrong and wrong for exactly the same reasons we underestimate politicians. Elections are popularity contests that cater to our innermost, base and vapid self interests. Some very high profile of our side are essentially politicians who may or may not share our views, but at least for the time being at least tacitly work on our side. It is naive to think that you can “work your way” on to any policy directing board with non status quo views. If you are outside the established norms, that body will actively work against you to the tune of soliciting, even paying for votes or proxies, character assassination, sometimes outright lying. I’ve seen this first hand and on more than one occasion. These types of boards are literally no better than junior high school cliques of cool girls. Their behavior patterns are exactly the same. “For folks who don’t know, I 100% supported Adam in his last run for the NRA Board, I support him this time, and I intend to support him every single damn time he runs until he wins a seat. If Branca likes Kraut, that’s enough of an endorsment for me. Whole lot of inside baseball going on here. Fortunately, someone above linked his actual platform. It doesn’t seem especially radical to me, certainly not to the extent that would warrant some of the over the top responses. About the only thing I would question is the need to engage in more media outreach. To the core supporters of the NRA, media hostility is a feature, not a bug, and the media isn’t going to change anyway. My conclusion is that he has hacked off some of the old bulls by his method of campaigning, not his issues. I’m sure it’s almost entirely his method of campaigning. When you start a negative campaign, you’re going to get it back. Only in this case, you’re going to get it back from most of the body. Negative campaigning is expected and works in a first past the post system where it’s two candidates. A board like this is a different beast. If he wins, at best he knocks off a marginal Board member who probably would have been off anyway. But he’s going to have to work with those people he attacked if he’s going to accomplish anything. Can you cite any part of the Kraut campaign that went at all “negative” prior to the Marrion Hammer piece published at Ammoland? So, what is supposedly horrible about Adam Kraut? I’m not seeing it. but I don’t really keep up with all the inside baseball of the NRA BOD. I’ll be voting for Adam this year, and this attack on what I’d consider to be a not unreasonable platform has motivated me to pay more attention in the future to the goings on at the BOD level. But if you don’t have that, even if you win, the people you attacked are going to circle the wagons such that you won’t have a very successful term, or be able to change much. People can argue it’s petty, and maybe it is, but I’ve never seen any deliberative body that didn’t work that way. It’s not like running for Congress. Just completed my ballot. Voted for 13 people including Kraut. I used to keep voting until I got the full 25, but now I vote for people who I think deserve my vote. This isn’t particularly relevant to the discussion of Adam Kraut, but my input as Floridian is that Marion Hammer may “the reason we have concealed carry”, but in the “what have you done for me lately” world of politics she has been incredibly ineffective for the 10 years I’ve been paying attention. Florida law is very decent compared to many places in the US but is not without insanity and flaw. One of the big flaws is that momentary exposure of a concealed weapon, such as due to a bad wind gust or something, is just as likely to get you thrown on the ground with a cop on top of you as if you were in New Jersey. Like this story. Last year, as the year before, and the year before that, NRA A-rated and Marion Hammer-approved politicians sold us out on any improvements to state laws. Instead of fighting for something worthwhile, like constitutional carry, we’re fighting constant rear guard actions to keep the Miami/Ft.Lauderdale liberals from taking away everything we have. It appears nobody in Florida’s legislature gives a crap about Marion and the Florida gun culture. They talk big, get our votes, and then do what they want (translation: then take Bloomberg’s or somebody else’s money).